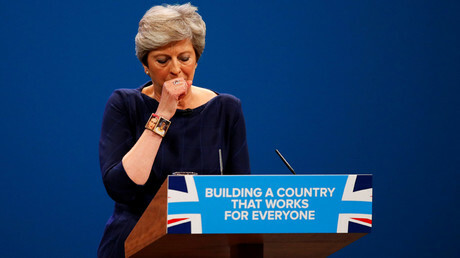 Pressure is mounting on May to resign after a “disastrous” party conference speech that saw her handed a spoof P45, suffer from an incessant coughing fit, and the set falling down behind her. “I just think that a growing number of my colleagues realize the solution isn’t to bury our heads in the sand and just hope things will get better,” he said. He claimed the list of discontented MPs existed “long before” the party met in Manchester and that Downing Street “pleaded” with him not to go public earlier. Shapps said he had hoped to speak to May privately but the Tory party whips had unmasked him in the Times newspaper. He revealed that Number 10 was aware of his discontent and had urged him not to go public. 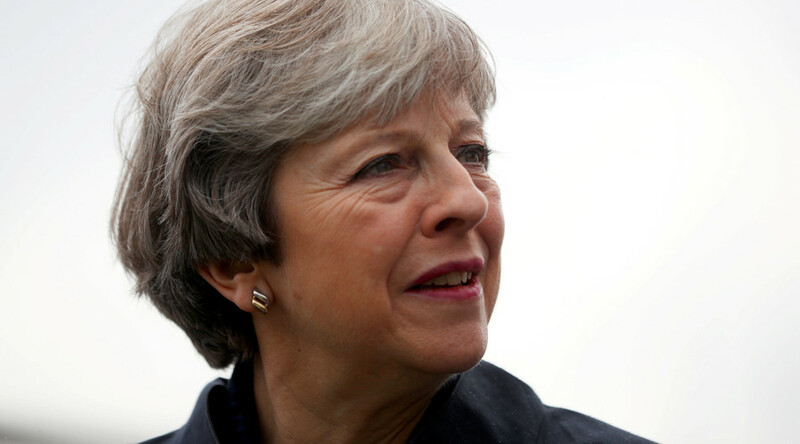 A Conservative leadership election will only be called if May resigns or if 50 Tory MPs write to request one. Shapps’ claims were dismissed by Environment Secretary Michael Gove, who said he did not know of a single cabinet minister who wanted May to step down. He said May had “shown grace and grit” this week and a leadership election was not the correct way forward. Charles Walker, the vice-chairman of the influential Tory backbench 1922 Committee, slapped down Shapps, telling the Guardian: “Number 10 must be delighted that it’s Grant Shapps leading this alleged coup. Grant has many talents but one thing he doesn’t have is following in the party. So really I think this is going to fizzle out to be completely honest. In 2012, Shapps was accused of editing his own Wikipedia page to remove embarrassing information about his activities as ‘Michael Green,’ the self-styled millionaire web marketer. He also made “largely unflattering” edits to articles about other politicians, the Guardian revealed. Meanwhile, some Tory donors are calling on May to step down because she is being “bullied” by colleagues, including Foreign Secretary Boris Johnson. Charles Mullins, the founder of London-based Pimlico Plumbers, who donated £50,000 ($65,000) to the party, told the Guardian: “She has to go for her own sake. It is getting embarrassing. If this was a boxing match, the fight would have been stopped. She has been put in a position where she is being bullied, she is being intimidated, they are making her life hell. John Griffin, the founder of taxi firm Addison Lee who has given more than £4 million to the Tories, said he wanted May to remain as PM and called for Johnson to be given a “smacked bum” for undermining her.